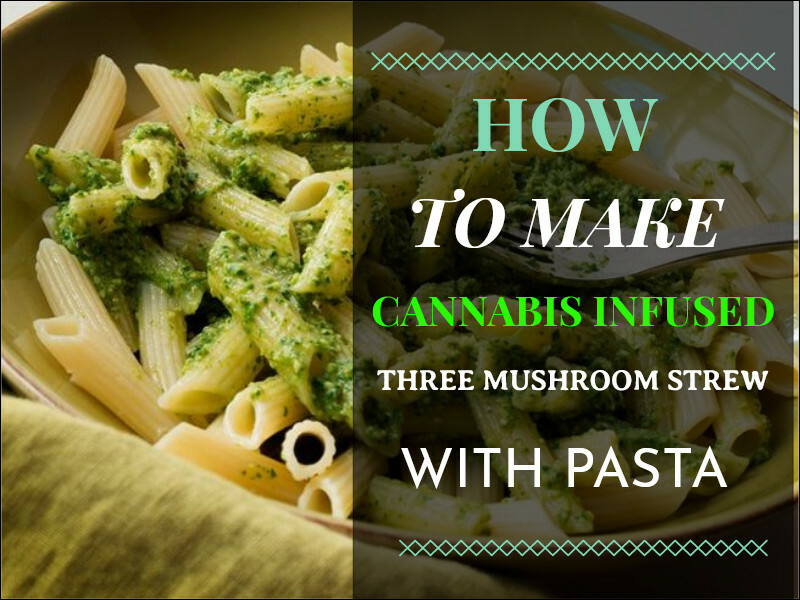 The earthy blend of marijuana and mushrooms is a much-loved combination for pasta in California these days. With weed now fully legalized, more and more are experimenting with their culinary skills. This mushroom stew dish goes well with whole grain or whole-wheat pasta, and it tastes great with rice, as well. The depth of flavor hints at rosemary, with a subtle carrot and sautéed leek taste. You will need a readymade cannabis-infusion to add to this dish. Canna-oil or canna-butter is the most common and easiest way to turn an ordinary dish into a buzzing delight, and you should have some available before you start. Fortunately, it is easy to make at home or, if you would prefer not to make it yourself, readily available at many marijuana dispensaries. Combine 1 cup of hot water with the dried mushrooms in a small bowl. Allow to soak for 20 minutes. Heat the Canna-oil or Canna-butter in a large skillet. Sauté the carrots and the leaks for 10 minutes, or until cooked. Add garlic and stir until combined. Remove mixture from skillet and place in a bowl. Add fresh mushrooms to the skillet and cook until the moisture evaporates, approximately 10 minutes. Add soaked mushrooms, with their liquid, to the pan. Return sautéed vegetables to the pan. In another pot, cook pasta according to package instructions. Divide cooked pasta into six servings, add three mushrooms stew to each serving, and keep warm until everyone is ready to eat.